Just like the African proverb, “it takes a village to raise a child”, we firmly believe that the entire community should step up and support at-risk children, and their families, in times of need. 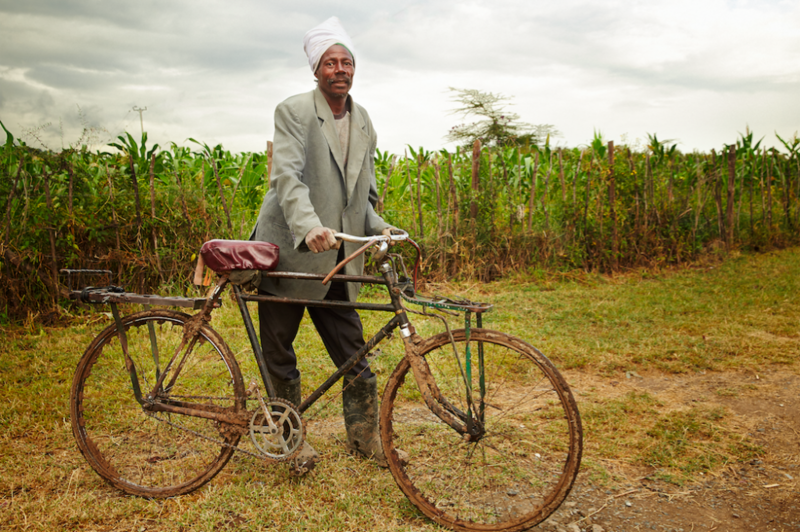 On December 3rd, we held our first ever photo exhibit depicting our work in the field. The theme of the night was “It Takes a Village”, with an emphasis on all the different community members involved in our efforts to empower at risk children to break the cycles of poverty and thrive. This village we speak of is global – it goes beyond the immediate geographic surroundings of the child, and extends all across the world, to supporters and donors like you that join our Kitechild village to support these children. Description: Anklets, commonly known as Payal, are worn for many reasons in the Hindu culture, including channeling positive energy into the body, and as a signifier of availability for marriage. However, most of the young girls in our partner centers wear them for another reason, because they like the way they look and the sound they make when they walk. Description: A laborer is about to go home after working in our Kitechild funded greenhouses at the Fiwagoh MIssion. This project has provided steady employment to members of the surrounding community as they work on the farm, and learn to cultivate their own smaller farms at home. 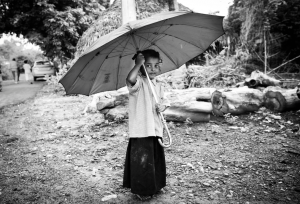 Description: A girl stands under an umbrella – twice her size – at the LAMP Mission Home. Through Kitechild, the home was able to reconstruct their roof to protect the sleeping area for the children from the common rains. We’d like to thank some very important members of our village, those people that support Kitechild and keep our wheels running. From our two talented photographers, Christoph Siegert of InDigital Media and Benjamin James of Empty Space Studio, our talented entertainment for the night, Josh Arias and Jeremie Levi Samson, to our support from our Board members from Xomad and Boxador Labs, our main sponsor BDirect, and of course our staff for the evening and everyone that attended to show their support. We are inviting you to be a part of this village – by donating to Kitechild’s efforts in funding sustainable projects that empower at risk children to receive the education, quality nutrition, and emotional support they need to break the bonds of poverty and thrive. Will you join us? Donate today.